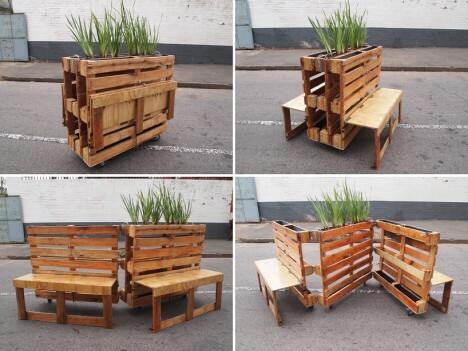 Packing down nearly as flat as they were before they were modified, six interlocking structures made of pallets unfold to reveal a variety of seating options with greenery poking out of the bench backs. 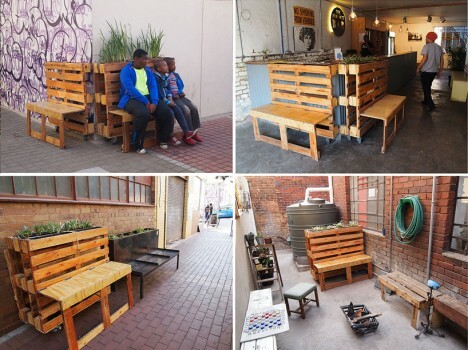 Johannesburg artist r1 was asked to develop the public seating as part of a residence program in the city aiming to enliven public space and come up with innovative ways to contribute to the community. 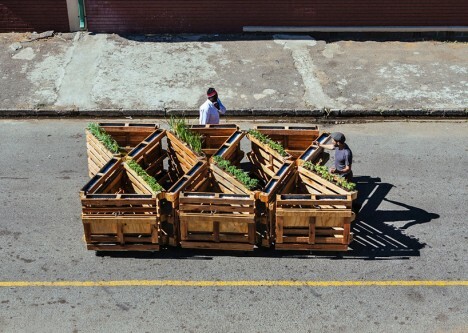 All six units can be combined into one larger structure, grouped together in smaller configurations or used alone. 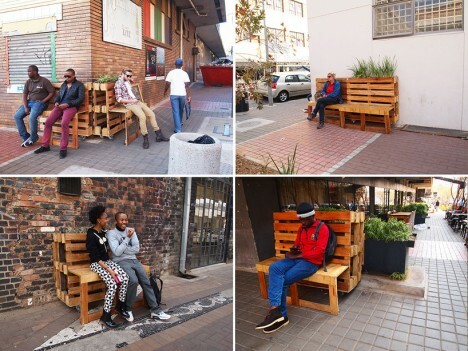 Each one contains two fold-down benches that can be used back-to-back, side-to-side or on a diagonal. 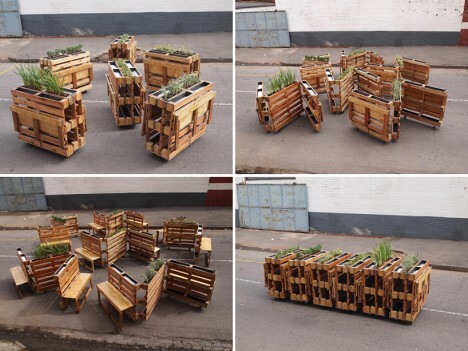 Made of discarded pallets, each one is on wheels so it can be moved quickly and easily. 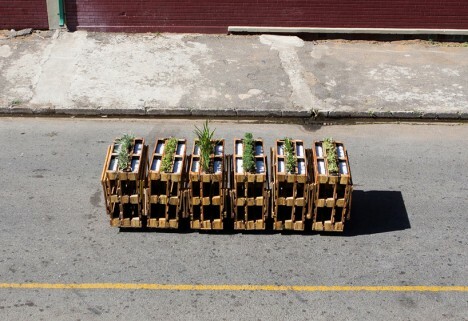 In addition to providing comfortable places for locals to congregate, the seats bring a little greenery into the urban environment. 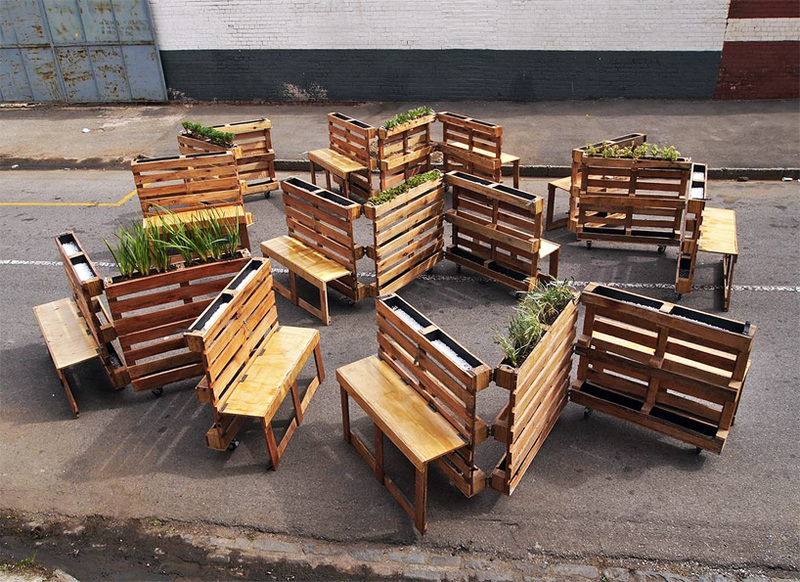 Other unconventional iterations of urban furniture have included UFO-inspired loungers, ‘stair squares’ and even seats that require strangers to interact with each other.